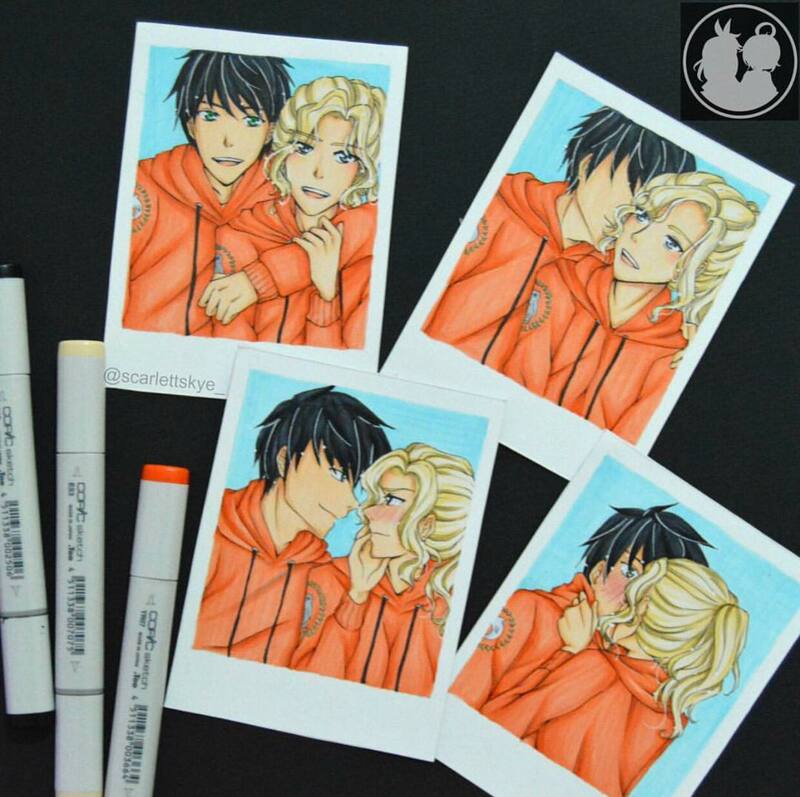 "What's yours can be taken." 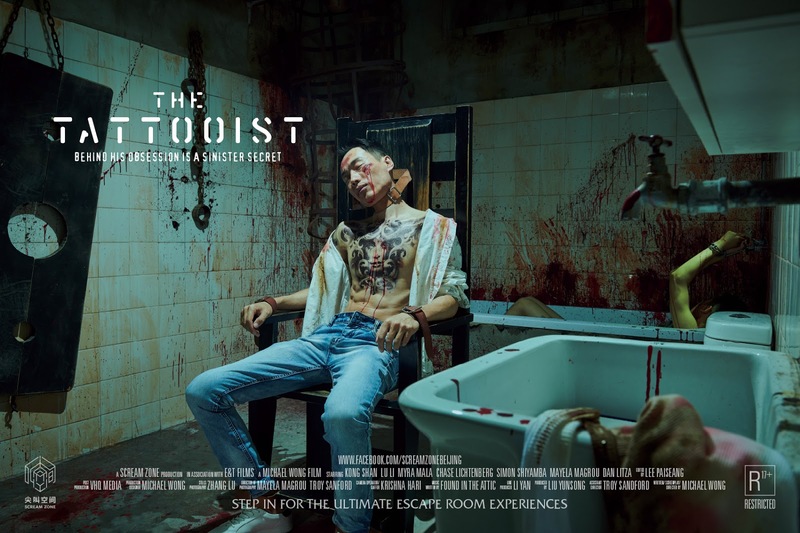 Following the success of his multiple award-winning nine-minute feature known as The Story of 90 Coins, Malaysian-born budding filmmaker Michael Wong is back with another short film. 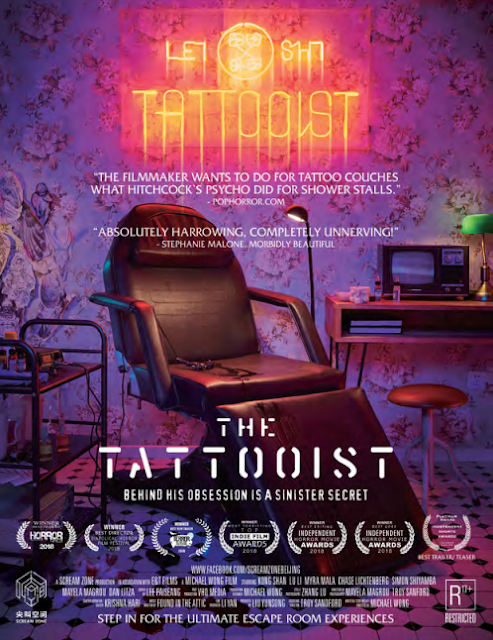 This time, he is getting in-touch with his inner horror movie maestro with his latest multiple award-winning micro short film, The Tattooist! In a minute and twenty seconds, we step into the twisted, private world of the titular Tattooist, played by Wang, as he goes about his day-to-day musing in drugging then capturing his customers for torture. 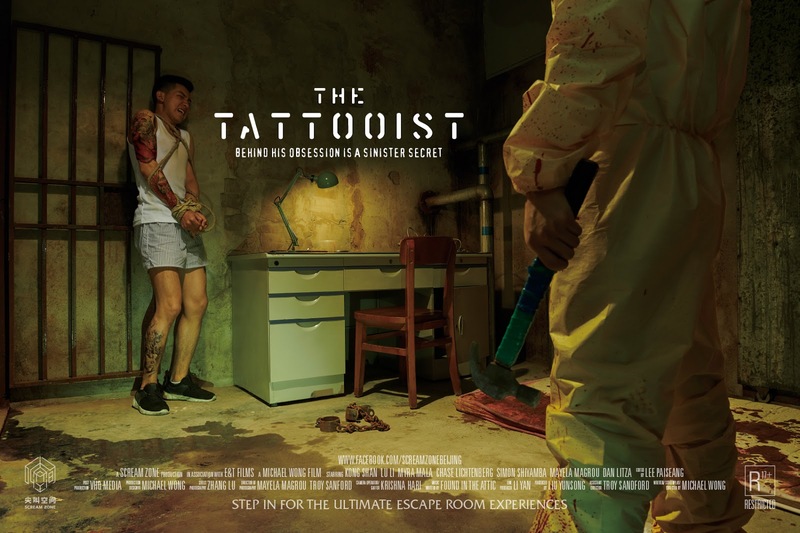 As the Tattooist instills pain and suffering on his captives with awful glee, we get a brief glimpse of the art behind his horrible, horrible crimes. With The Tattoist, audiences are presented with one of the trickiest short film types yet: a micro short film. Basically, it is a flick that only clocks around a minute or so. The makers are then forced to present a complete tale in such a limited duration. Under Wong's direction, however, as incomplete as it might feel, there is no denying that there is definitely something to take from this flick. The film's minimalist and brief nature does offer some degree of artistic merit, as character arcs and directorial decisions are left entirely for the audiences' interpretations. In this case, the previously mentioned theme of "what's yours can be taken" is discussed in a way that is not immediately clear due to the film's stronger reliance on visual theatrics. Here, random customers of the Tattooist ask for some artistic skin-based beautification. Though they believe that they remain in possession of their own bodies and freedom, little do they know that this secretly psychotic monster is about to take everything from them. Once we get to where the Tattooist does all forms of unspeakable torture, the message becomes clear. The film would not have been successful if it were not for the technicalities behind this. 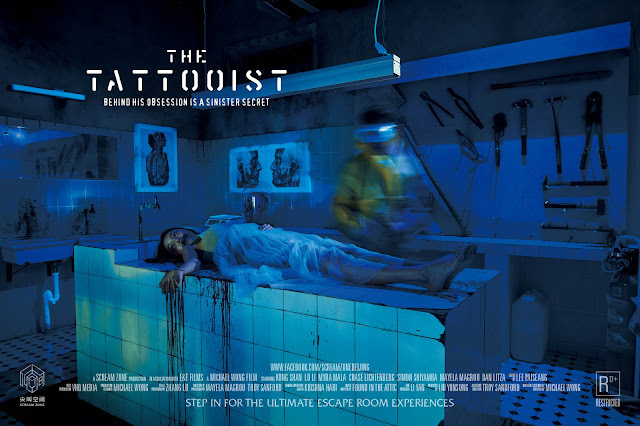 I believe that the brilliant cinematography, including the bright, colorful, and hypnotic atmosphere of the Tattooist's day job, and the dark and claustrophobic chambers, perfectly evoke a misleading mood. In addition, Wong's decent camera work and emphasis on actors' reactions are pluses. The only personal drawbacks for me though are the over-stylized editing of the feature, and a little on the inconsistent type of music used. For the editing, while I do commend the somewhat anxiety inducing factor in the killing parts, I honestly believe that the numerous fades at the beginning are unnecessary, as one tracking can already establish the mood of the film. This is a matter of subjectivity, but I honestly felt that the introductory upbeat music, which does fulfill its purpose of misleading, does sound odd for a horror short film. Perhaps if the score is a bit upbeat, with some shades of peril and darkness that evoke a panicked mood, the film would be just much greater than it already it is. But again, that is just my own thought. 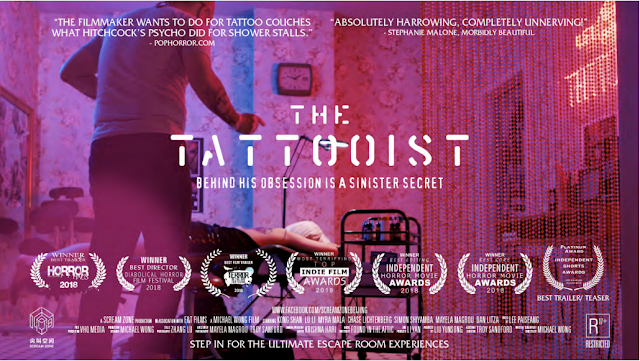 For a minute and twenty seconds, it really is quite the achievement for a feature this short to showcase brilliant camera work and production value, as seen in the sets and the gore-ridden cuts, as well as even the briefest glimpses of the actors' capabilities, The Tattooist is really deserving of its many accolades. I hereby grant this film an 18/25 (Pleasant Entertainment). 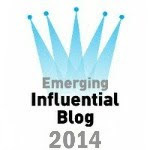 Don't worry, this post is far from a belated April Fools' joke. 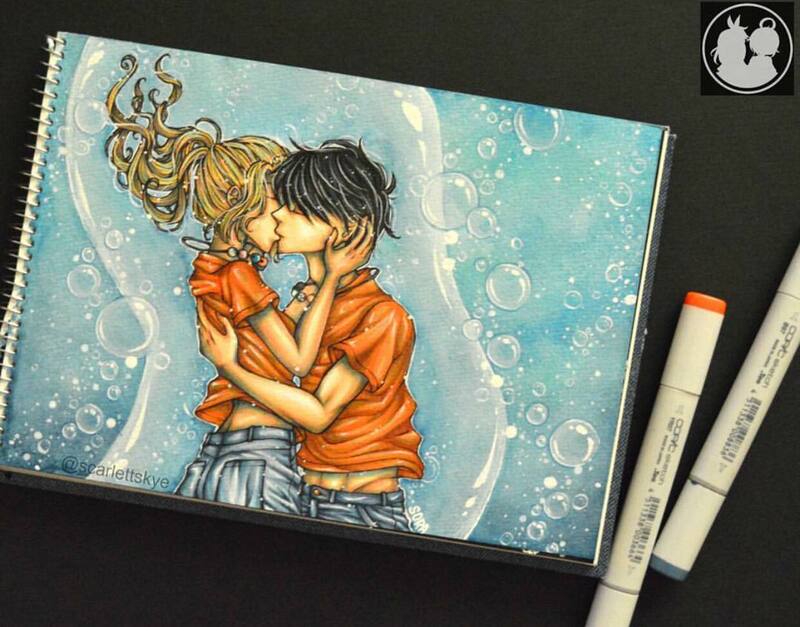 This is another great work from Michael Wong. Do check more of his other works, such as this one below, and get in touch with him via email (wongchanchou@yahoo.com), phone (+86 13910394116), or Vimeo (Michael Wong).  Do check-out their Facebook page also, and stay tuned for more Dateline Movies!